What kind of impression do you have of “Sumi ink”? For those of you who live in Japan, it might remind you of Shuji, a Japanese calligraphy which you learnt during elementary school. For art lovers, you might recall the ink paintings of Sesshu and Tohaku Hasegawa. 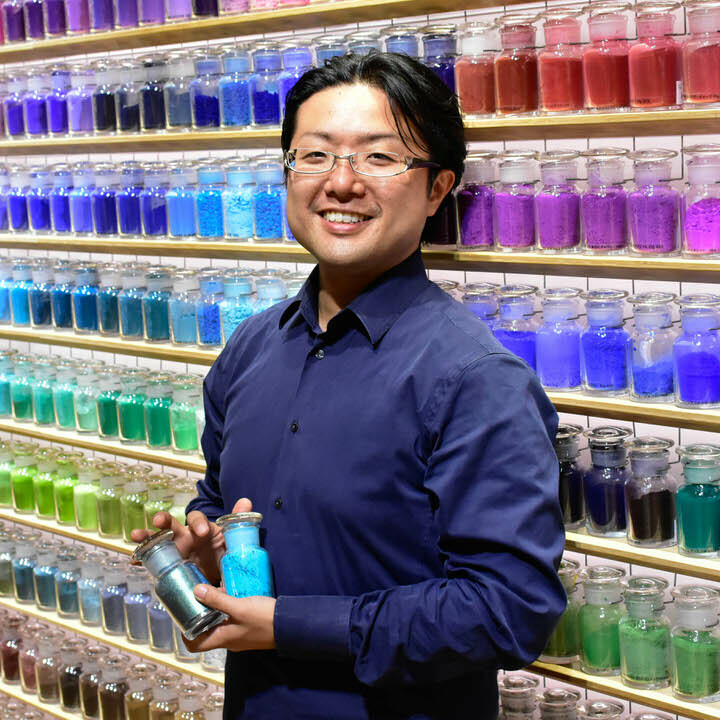 Not only pigments are available in PIGMENT TOKYO, but also a variety of sumi inks. 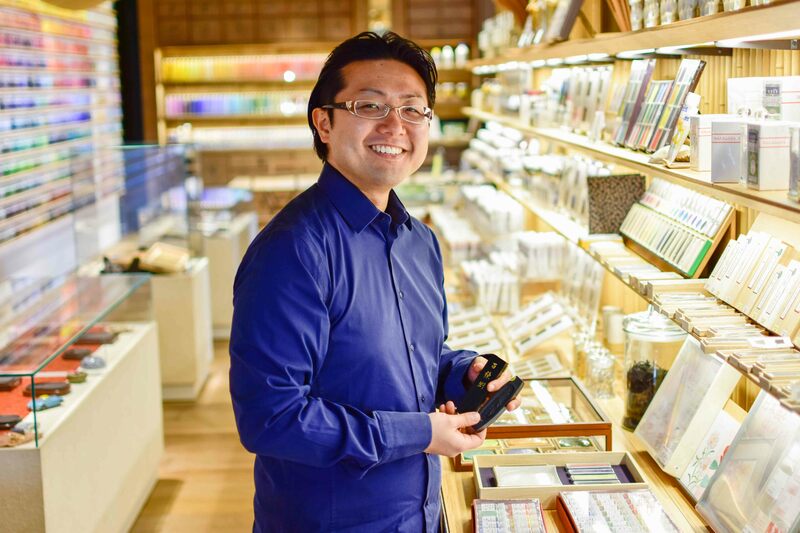 In this article, PIGMENT chief Iwaizumi will introduce you the basic knowledge on sumi ink. −PIGMENT TOKYO covers a lot of different kind of sumi ink. First of all, can you tell us what it is made of? Sumi ink is made mainly from soot of burnt lamp oil or pinewood, animal glue and perfume. −It all seems the same black color. Are there any differences between these? Sumi ink that has reddish color is called Chaboku, and the one that has bluish color is called Seiboku. In general, Chaboku is often a type of Yuenboku and Seiboku is a type of Shoenboku, but there are exceptions as well. −I see. There are reddish black color and bluish black color for the sumi ink. Are there any other categories? In addition to that, we can divide them into new sumi ink and old sumi ink. Interestingly, just like wine, the texture and color of sumi ink can get changed over time. Also, there are Chinese sumi ink and Japanese sumi ink depending on the place it is made. −In Japanese elementary school, they have Japanese calligraphy classes, where students use Bokuju, a liquid type sumi ink. What is the difference between Bokuju and Sumi ink? 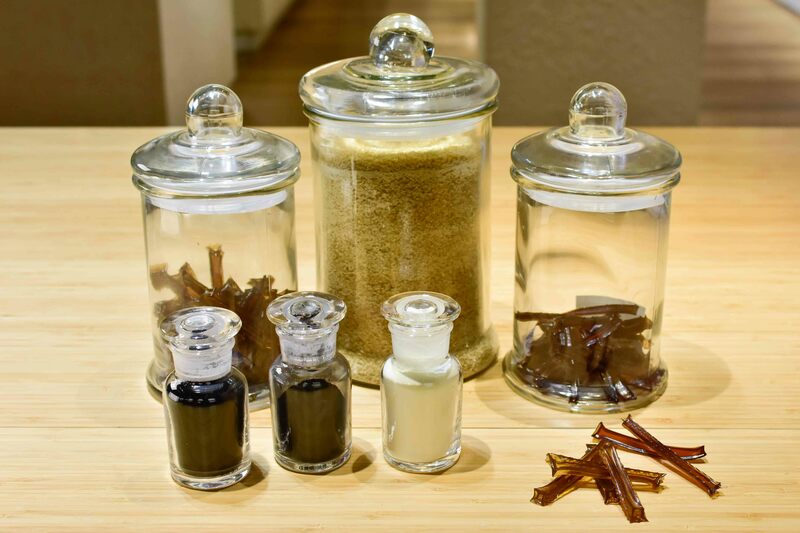 Although there are some Bokuju that contain animal glue or liquid ink that simply mix soot with water, for the teaching materials, they often use synthetic resin instead of animal glue. The soot in sumi ink is, in other words, a carbon black, so the Bokuju is more close to a paint tube than sumi ink. * Bokuju is not available in PIGMENT TOKYO. 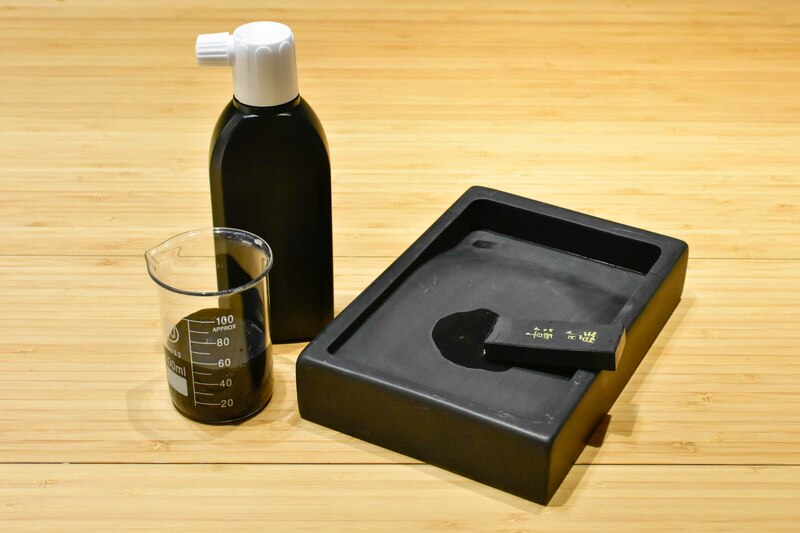 −Could you tell us about the advantage of animal-glue-made sumi ink and liquid ink made of synthetic resin? Synthetic resin is a chemically synthesized material, which has a benefit of keeping the state same. 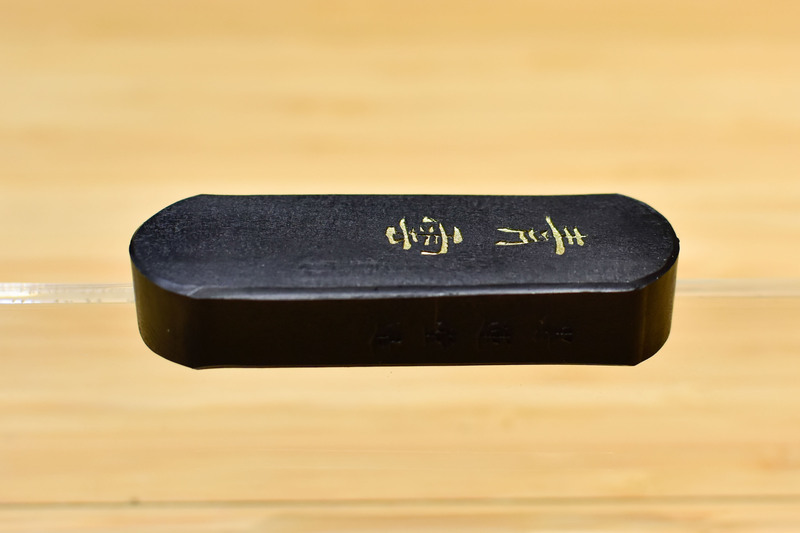 Whereas the solid sumi ink uses natural animal glue as a medium, so it cannot keep the fresh condition as it is just rubbed because the ink deteriorates. However, behind this disadvantage of a “change” that animal glue has, there is the most significant advantage that only solid sumi ink has. As I said before, you cannot keep the sumi ink in a liquid condition once you rub it, but the solid sumi ink does not spoil as long as it is completely dried. However, the animal glue contained in the sumi ink slowly deteriorates over times, which gives the change in the soot condition and create a richer color. The particle of the soot is formed and gathered like a bunch of grapes. Therefore, we mix with medium to disperse the particles and make it into the sumi ink. Generally, soot of burnt lamp oil is formed by a smaller partical, and soot of burnt pinewood is formed by a larger particle. However, there are exceptions. Depending on the particle size, it absorbs the different wavelength of light, which determines the color of sumi ink. Nevertheless, as the fixing power of animal glue weakens, the particle tries to return to the shape of a bunch. It creates a change in the particle size and the color changes accordingly. −I see, so that is the difference between the new and old sumi ink, and the solid and liquid sumi ink. That is right. There are some Bokuju that contains animal glue as a medium, but these products have an expiration date. That is because animal glue deteriorates before it changes the color. Furthermore, solid sumi ink shows the different color depending on the inkstone you use. I would like to talk about the relationship between sumi ink and inkstone in another article. 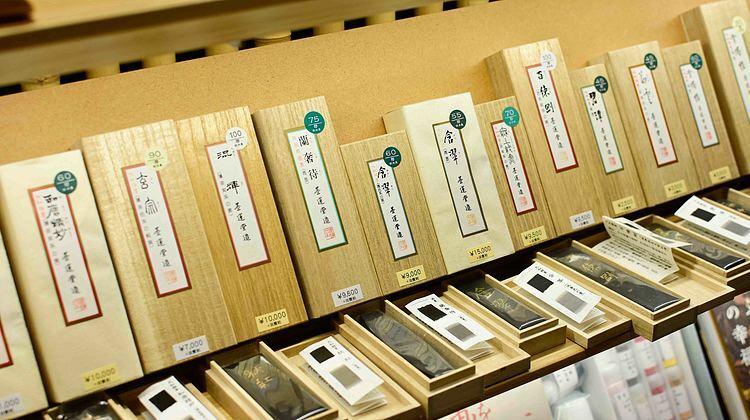 −What kind of animal glue is used in the sumi ink? I also talked about it in the article about medium, but there are various types of animal glue used in the solid sumi ink. You may think it normal that sumi ink is solid, but think it as a mass of paints. Isn’t it incredible that such thick mass of paints is not cracked? −Agreed. When you try to paint acrylic paints or oil paints for more than a 1cm thick, there is concern for a crack and a break. Exactly. There are many other requirements for the animal glue in the sumi ink. As I just explained, animal glue for solidification, animal glue to improve the brush move and animal glue that changes the color, etc. Of course, single animal glue cannot meet all the requirements, so several glues are blended together to complete the solid sumi ink, such as ox glue, deer glue and wako drum leather glue. −That is incredible. I now understood that various techniques are used in this sumi ink. Yes. It looks simple but many techniques are required. I hope you all experience this profound world. In PIGMENT TOKYO, we have “Advanced Japanese Painting Technique Workshop for Sumi Ink” to learn from the perspectives of material science. Please join us if you are interested.